NEW YORK, June 8, 2012— The Secretary-General has appointed Parfait Onanga-Anyanga of Gabon as his Special Representative and Head of the United Nations Office in Burundi (BNUB). Mr. Onanga-Anyanga brings to the position of Special Representative of the Secretary-General to Burundi and Head of BNUB many years of political, development, managerial and diplomatic experience at the United Nations. He is currently the Director of the Office of the United Nations Deputy Secretary-General, a position he has held since 2007. In that capacity, he has provided significant support to the Deputy Secretary-General in a wide range of areas, including in strengthening United Nations management, advancing the achievement of the Millennium Development Goals and furthering system-wide coordination and coherence. Prior to that, Mr. Onanga-Anyanga was Special Adviser to the President of the sixtieth and sixty-first sessions of the General Assembly from 2005 to 2007. 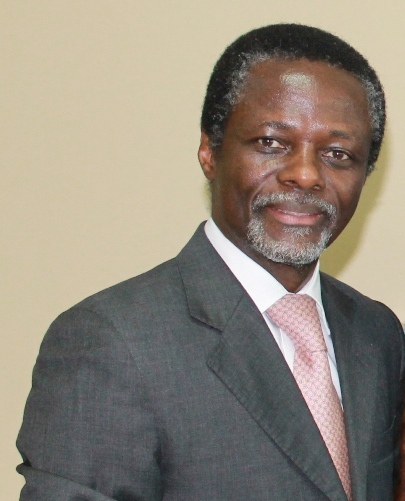 As Chef de Cabinet to the President of the fifty-ninth session of the General Assembly in 2004, he worked extensively on preparations for the 2005 World Summit, whose outcome document led to the establishment of a number of important initiatives and institutional reforms, including the Peacebuilding Commission and the Human Rights Council. From 1998-2004, he held a variety of political and managerial positions at the Preparatory Commission of the Comprehensive Nuclear Test-Ban Treaty Organization in Vienna and New York. Earlier in his career, he was acting Secretary of the United Nations Standing Advisory Committee for Security Questions in Central Africa, and he served as First Counselor for disarmament and political affairs at the Permanent Mission of Gabon to the United Nations in New York. Mr. Onanga-Anyanga holds a post-graduate degree in political science from l’Université Paris 1 Pantheon-Sorbonne, and a master’s degree in sociology from l’Université Omar Bongo in Libreville. Born in 1960, Mr. Onanga-Anyanga is married with three children.